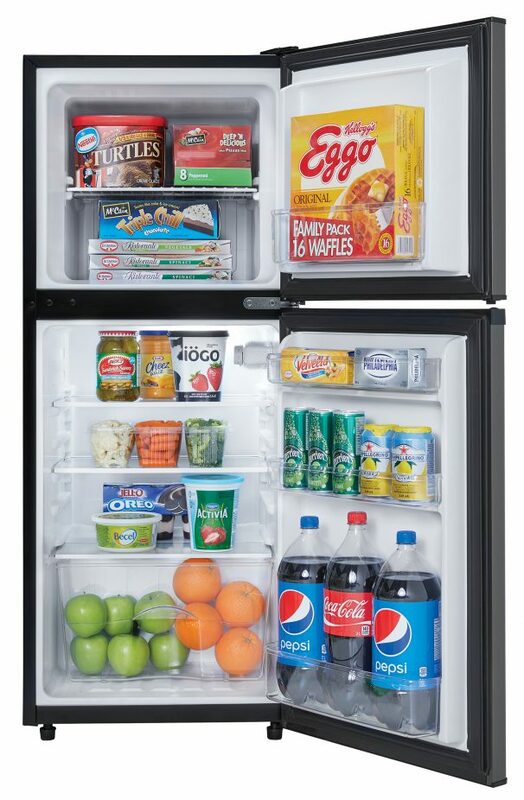 Having a separate fridge and freezer is certainly a handy component for an appliance. 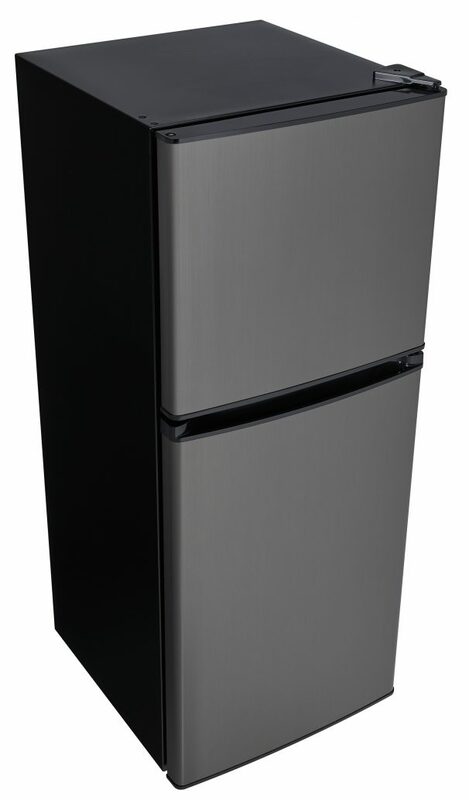 With this black stainless steel dual-door compact refrigerator by Danby you get that convenient combination and so much more. This model offers 4.7 cu. ft. (133 L) of cooling and freezing capacity in an Energy-Star® compliant component to help keep electricity costs as low as possible. 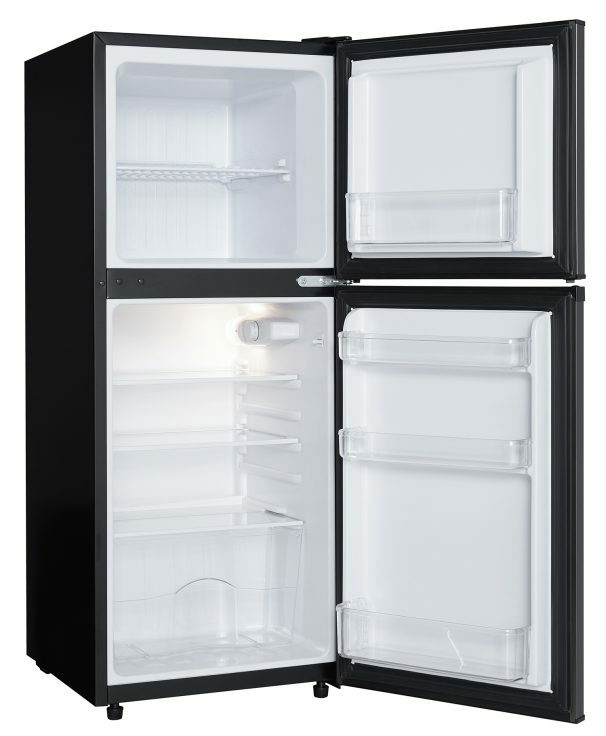 This popular appliance is great for apartments, rec-rooms, bars, cottages and offices. 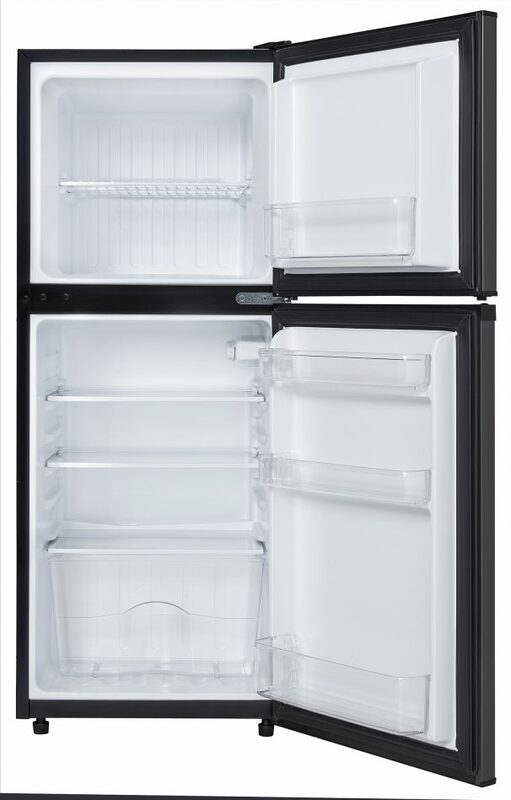 The mechanical thermostat ensures your food is always stored at the correct temperature, and the freezer incorporates a manual defrosting system. 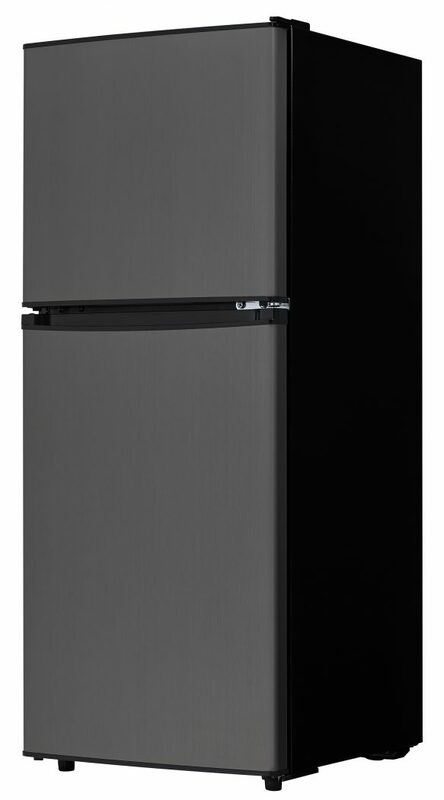 It includes a reversible-door feature to adjust for either left or right-handed opening. 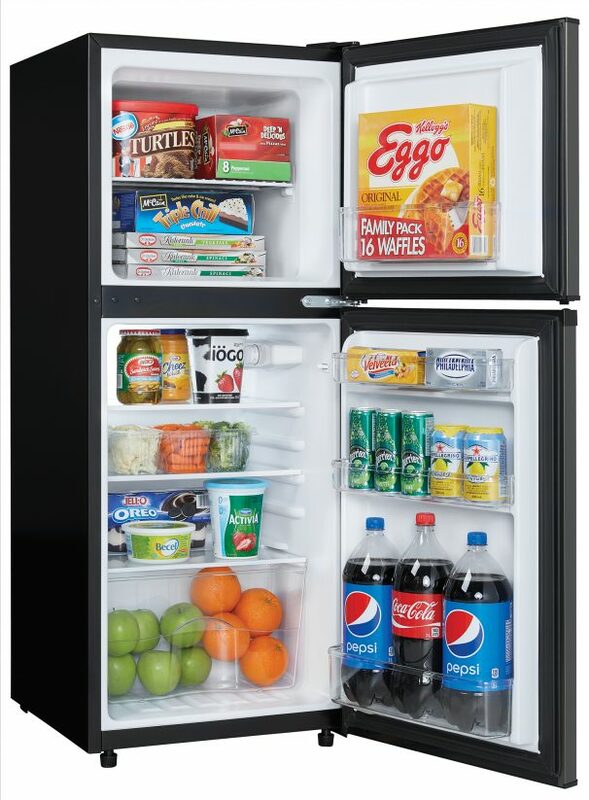 Inside the appliance you’ll find a bright interior light as well as a see-through vegetable crisper with a glass cover, integrated door shelving for tall bottles, 2 full width glass refrigerator shelves as well as 1 wire shelf in the freezer. 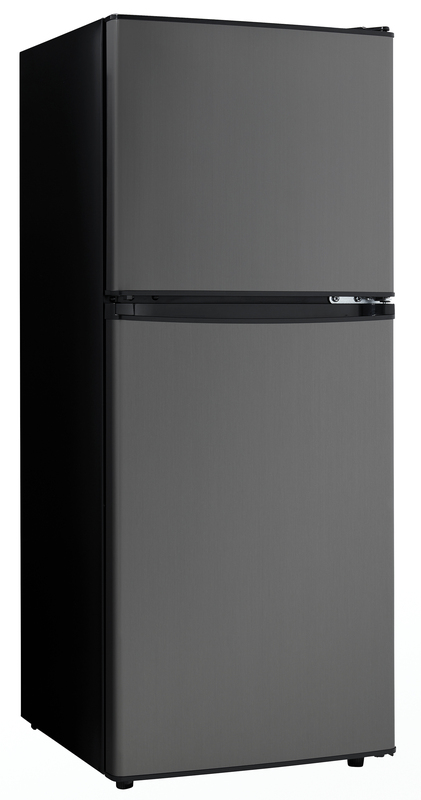 This appliance includes a 12 month in-home service warranty on parts and labour.